Cross Borders Brewing Company - genius tap room in the most unexpected of places. 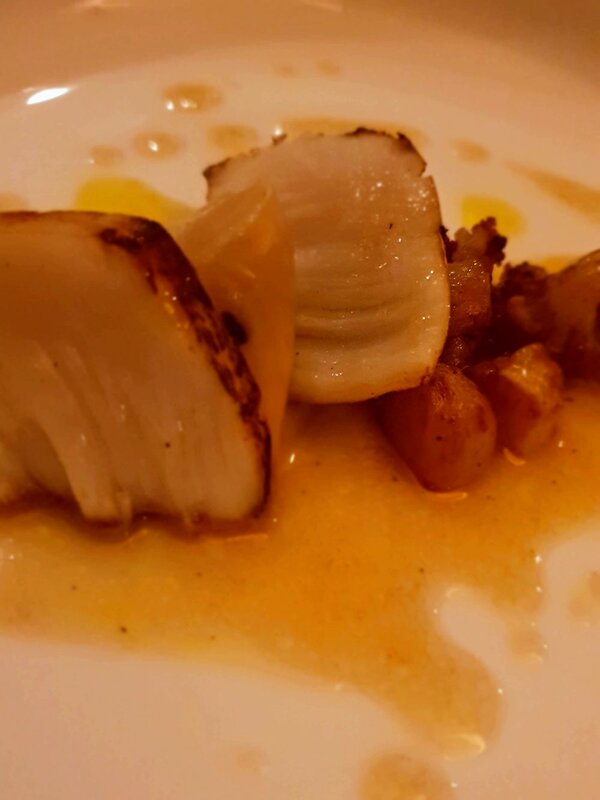 Our latest review, of Paul Tamburrini's Bistro Deluxe at the MacDonald Holyrood Hotel, is now up on the website. 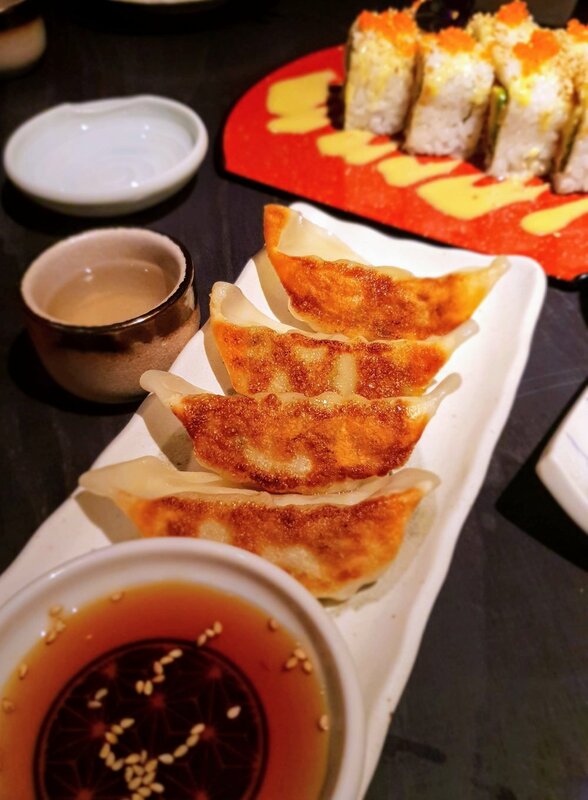 The Scottish Food Review guide to Japanese cuisine brought to you thanks to Yamato. 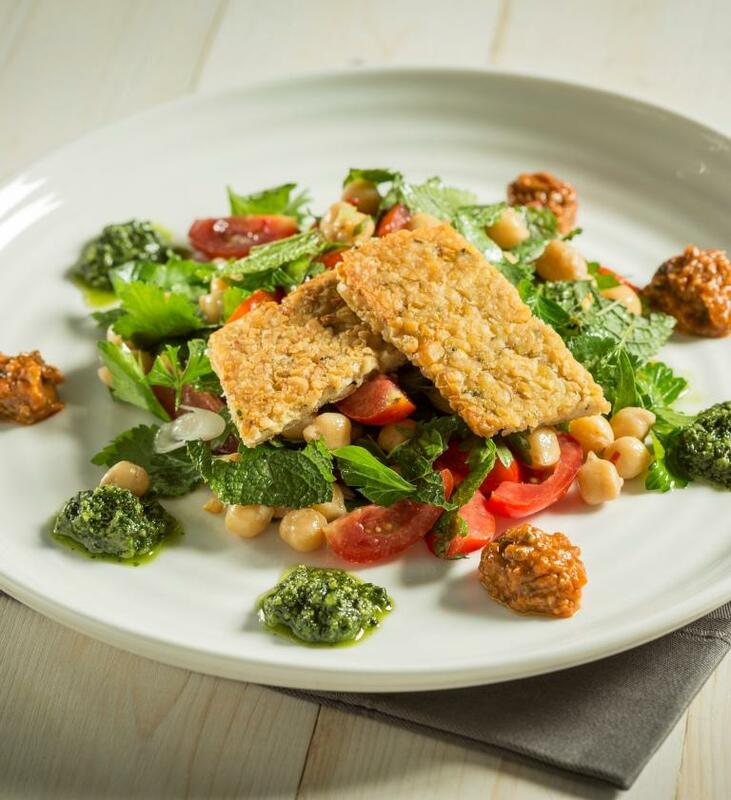 Edinburgh locals looking to go meat or dairy free as a New Year resolution are being supported to kick start their diet, thanks to two courses at Edinburgh New Town Cookery School (ENTCS), including a new vegan course. The school – which offers professional cookery training, leisure courses and group hospitality experiences – has introduced a vegan cookery course alongside its popular vegetarian one, to help those looking to make long-term dietary changes in 2019. With a large rise in people turning to a plant based diet, the vegan course focuses on ensuring new vegans have a good base knowledge of the nutrition required to maintain a healthy body. Attendees will learn a selection of recipes and techniques to prevent the diet becoming boring, including how to make tofu, mocha brownies and a classic, egg free mayonnaise. The vegetarian course is aimed at people who are new to the diet, those who have been following it for a while but who would like new ideas, or those who are cooking for vegetarians and in need of inspiration. Attendees on this full day course make dishes in the morning such as spring quinoa salad, Malaysian vegetarian laksa and mushroom pithivier, which are then enjoyed for lunch in the afternoon. It’s that time of year when we all begin making resolutions to change our lives for the better. Over the past few years, there has been a rapid increase in people choosing a vegetarian or vegan diet for their health, rather than a quick fix for weight loss, as they go into the New Year. ENTCS is a professional cookery school based in Edinburgh’s New Town. The school was founded by Fiona Burrell, formerly Principal of Leith’s School of Food and Wine. She began her career in Edinburgh and has been teaching professional cookery courses for thirty years. With courses on offer from one day tasters for amateurs, to six month professional courses, many graduates have gone on to work in some the UK’s top kitchens. The vegan course runs in March and the vegetarian in April. Further information on Edinburgh New Town Cookery School and the full calendar of courses is available at www.entcs.co.uk. Harvey Nichols is launching its much loved Winter Dining Menu to help customers rid themselves of winter blues this January. The exclusive menu offers customers three courses and a cocktail for £22, available from 2nd January until 28th February 2019, excluding 14th February. 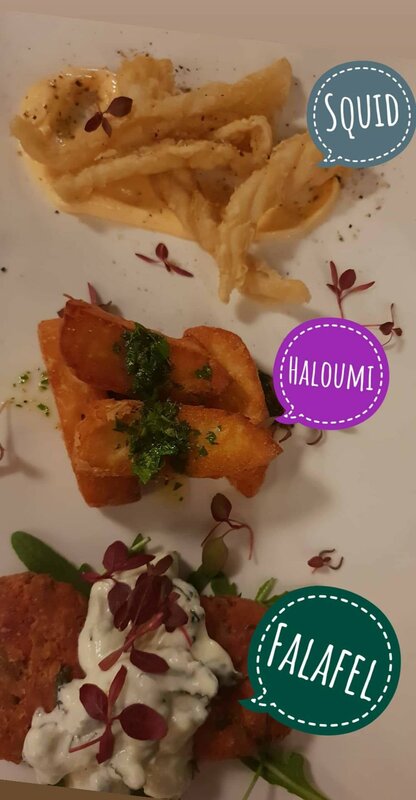 Created using seasonal ingredients sourced regionally, each menu is bespoke to its location and features three starters, three mains and three desserts. At Harvey Nichols Edinburgh in the Forth Floor Brasserie, (see what they did there…) guests can choose mouth-watering dishes such as spiced pumpkin soup with maple crème fraiche, toasted pumpkin seeds and smoked paprika oil to start, followed by pan-fired North Sea hake with saffron risotto and semi-dried cherry tomatoes, and a chocolate fondant with a blood-orange sorbet and sugared almonds to finish. To round off the meal, customers who dine with this menu can choose between two cocktails, a ‘Paloma’ made with Patrón Silver Tequila, pink grapefruit juice, agave syrup and London Essence Soda Water, or a ‘Vanilla Swing’ made with Grey Goose La Vanille Vodka, Cartron Vanilla Liqueur, orange juice and lemonade. Visitors to the Forth Floor Restaurant can dine on a three course Winter Dining Menu for £35, along with a complimentary Paloma or Vanilla Swing cocktail. Highlights from the Restaurant menu include pan-fried red mullet with candied fennel, compressed melon and cucumber salad, braised silver side Scotch beef with Yorkshire pudding, celeriac cream, glazed baby carrots and watercress, and chocolate tart with blue cheese and candied walnut ice cream. 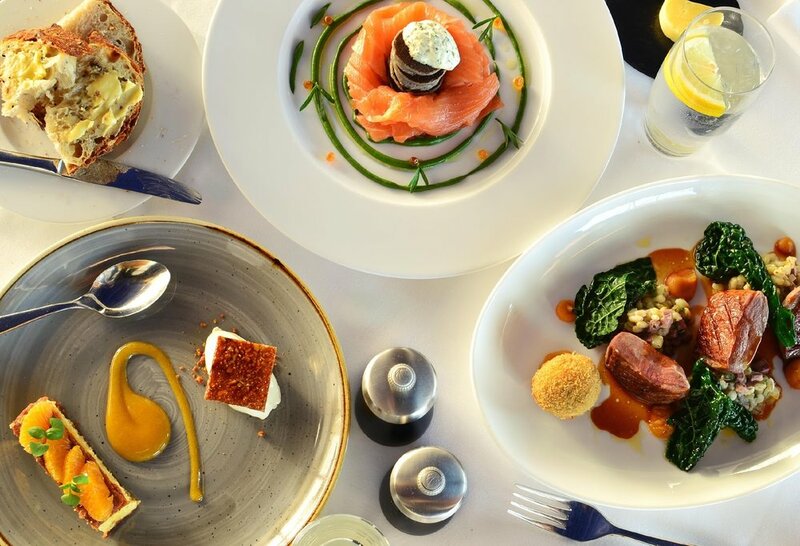 The Winter Dining menu will be available from the Forth Floor Brasserie and Restaurant at Edinburgh from Wednesday 2nd January until Thursday 28th February 2019, excluding 14th February. Winter Dining will also be on offer at Harvey Nichols hospitality sites in Birmingham, Bristol, Leeds, London and Manchester should you off visiting. Possibly one of Edinburgh’s most anticipated restaurant openings, The Lookout by Gardener’s Cottage opened on November 24th. It’s the first ever restaurant on Calton Hill, and one that promises diners breath-taking views across the Firth of Forth and the city skyline. Built on a cantilever so the restaurant is partially suspended over Calton Hill’s northwest slope, the restaurant is open for breakfast, lunch and dinner 5 days a week, offering an approachable, relaxed dining experience. The Lookout by Gardener’s Cottage is the third Edinburgh venture from chef director Dale Mailley who opened The Gardener’s Cottage in 2012 and Leith bakery Quay Commons in 2017. The lunch and dinner menu is centred on inventive seasonal dishes like cured sea trout with scurvy grass, malted rabbit and hare yakitori, halibut with cauliflower and sea purslane, salt baked turnip and walnuts, and The Snowman - a baked Alaska with barley, fig and ginger. A buffet-style breakfast featuring pastries and bread from Quay Commons, as well as locally-cured meats, smoked fish, home-made granola and jams, British cheeses, eggs and fruit is served from 10am. 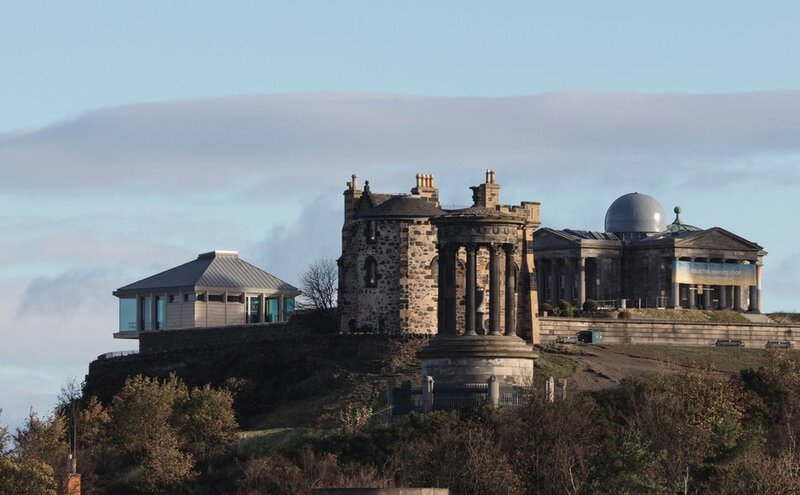 The Lookout by Gardener’s Cottage is a partnership with Collective, the organisation that has redeveloped the City Observatory site on Calton Hill into a new home for contemporary art. As well as the purpose-built restaurant, the world-class development incorporates the restored City Observatory and City Dome, along with new purpose-built exhibition space The Hillside. Open Wednesday to Sunday from 10am-9.30pm. If Sonder isn't already on your Edinburgh eating bucket list it really needs to be, this place is so, so good. east PIZZAS are very excited to launch their new autumn menu. The menu features some of the best produce Scotland has to offer. There are no gimmicks, just high quality fresh, organic and local ingredients. The result is some pretty good looking pizza I'm sure you'll agree! For people living in Edinburgh in the 19th Century, Tweed Kettle would have been a staple dish. Allegedly brought to the city by a Kelso woman for her modest eatery, the dish became popular at ale houses as well as being sold on the streets of Edinburgh. 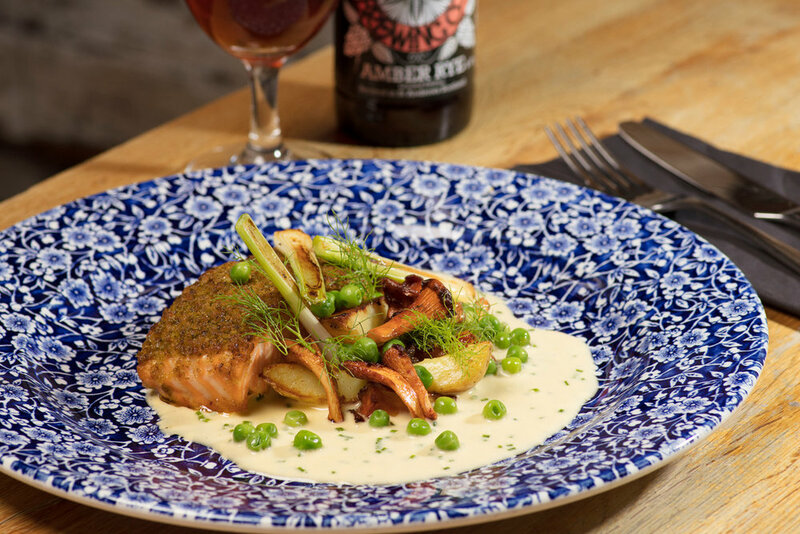 From this week, St Andrews Brewing Co. Potterrow are serving a revitalised version of the dish as part of their new menu. Tweed Kettle was a cheap and nutritious wild salmon dish made with foraged ingredients including lovage, sorrel, mace, potatoes, turnip and butter cooked together in a fish kettle and served a little like a soup or a pie filling. Chef James has refined the presentation, using the lovage and sorrel as a crust for the baked fish, and adding a splash of cream, some chanterelles and fresh peas for extra layers of texture and flavour. St Andrews Brewing Co. Potterrow opened last year. 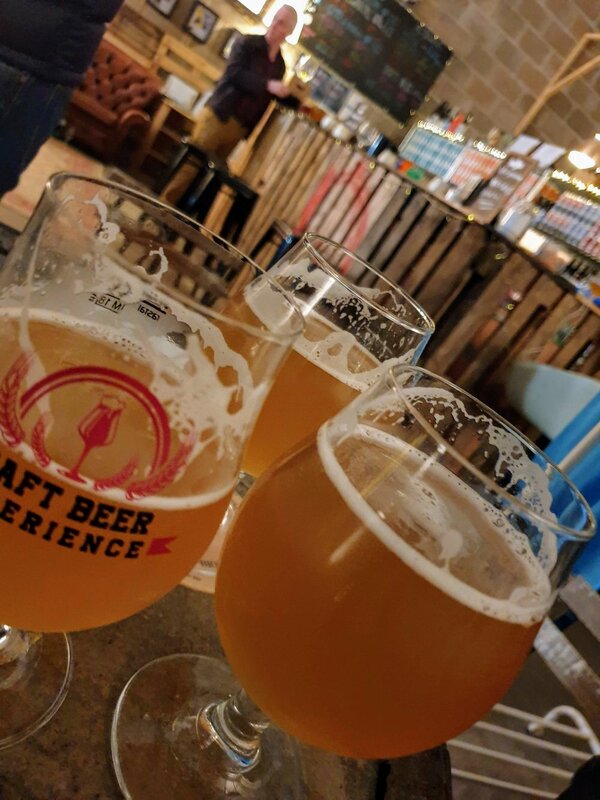 It’s the second pub from the Fife-based brewery that recently revealed plans to open its fifth in Dundee this November - which at 8,000 square feet, will be one of Scotland’s largest craft beer bars. 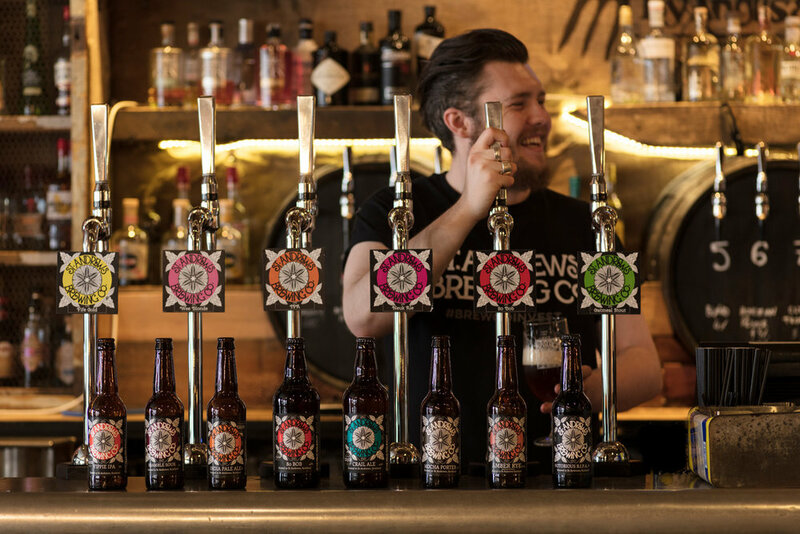 At the frontline of modern Scottish hospitality brands, the company aims to create a new generation of welcoming bars that serve the best Scottish beer, gin and whiskies alongside a menu that celebrates the wonderful produce available in Scotland. 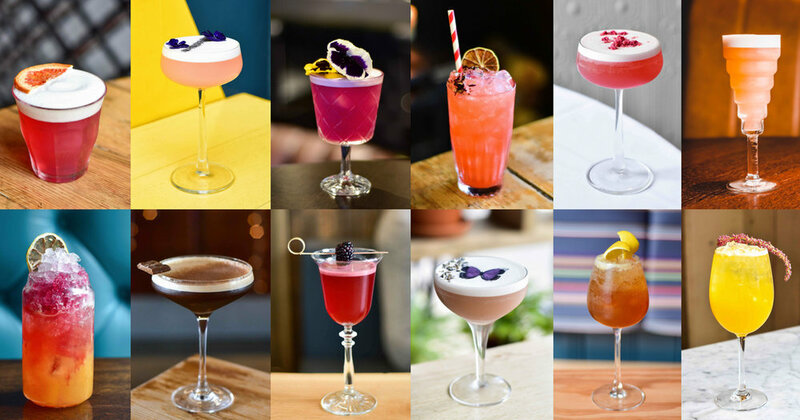 Forget the Monday blues, Edinburgh Cocktail Week is back next month! A Whisky Escape Room challenge, over participating 80 bars, a new Cocktail Village, a hidden Masterclass Hub, a Pornstar Martini Party, and distillery tours are just some of the highlights you can look forward to hopping between at next month’s Edinburgh Cocktail Week, 15th – 21st October, as they reveal their full programme of events and 82 signature cocktails. 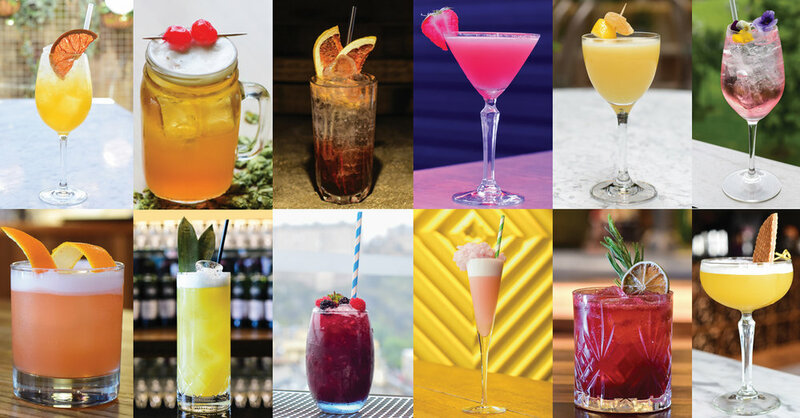 Over 80 bars across the capital are taking part in this year’s Edinburgh Cocktail Week (30 more than last year) including Harvey Nichols, Tigerlily, Dragonfly, The Voyage of Buck, The Voodoo Rooms and The Grand Café, with each bar designing a unique Signature Cocktail which can be enjoyed for just £4 each with an ECW wristband - £6 for a weekday band (valid Monday to Friday) and £8 for a weekend band (valid Saturday and Sunday). This year’s expanded format also sees the introduction of a new Cocktail Village at Festival Square, which is free to enter with a wristband. Enclosed within a marquee, the Cocktail Village will act as the social hub of the week-long cocktail celebrations, where attendees can meet up with friends and catch up over £4 cocktails from 15 pop-up bars such as Edinburgh Gin, Grey Goose Vodka, St-Germain, Johnnie Walker, Rumbullion Rum, Belvedere Vodka and Poco Prosecco, plus a very special ‘Golden Ticket’ themed bar from The Pop Up Geeks. As well as lots of cocktails to try, there will also be live music, DJs and drop-in style masterclasses and tastings to keep revellers entertained. We wanted to give the event more of a festival feel this year, so we have introduced a much larger programme of things happening all around the city for wristband-holders to hop between on their cocktail adventure, as well as extending the event to seven days and increasing the number of bars taking part to spread footfall. As a city of event-goers we all love a pop-up space to hangout in, so the Cocktail Village is an exciting new development for the event and the city. It has been designed with an outdoor festival theme to make you feel like you are in an autumnal garden while being in the comfort of an enclosed marquee. Between sipping, sampling and socialising around the bars and Cocktail Village, there is also a programme of events, masterclasses and parties for wristband-holders to attend throughout the week, kicking off with a Pornstar Martini Party hosted by Absolut Vodka at 4042, Edinburgh’s newest late-night venue. Partying continues throughout the week as Altos Tequila host a sleepover themed party at Tonic with a menu of £4 ‘Agave Dream’ inspired cocktails to choose from. Entry to both events are free on a first-come basis and tables can be booked in advance by contacting each venue directly. Thrill-seeking wristband-holders are invited to join Chivas Regal for a whisky themed Escape Room at Nightcap. Designed for both experienced and amateur whisky drinkers, attendees must use their senses to guide themselves through a labyrinth of flavour, collecting whisky along the way to unlock and create their own personalised blend at the end of the challenge, before enjoying a complimentary cocktail in the Nightcap Lounge. Another exciting addition this year is 'The Secret Spirits Study' pop-up on Queen Street – a masterclass hub by day and underground bar by night, hosted by Wemyss Malts and Darnley's Gin. 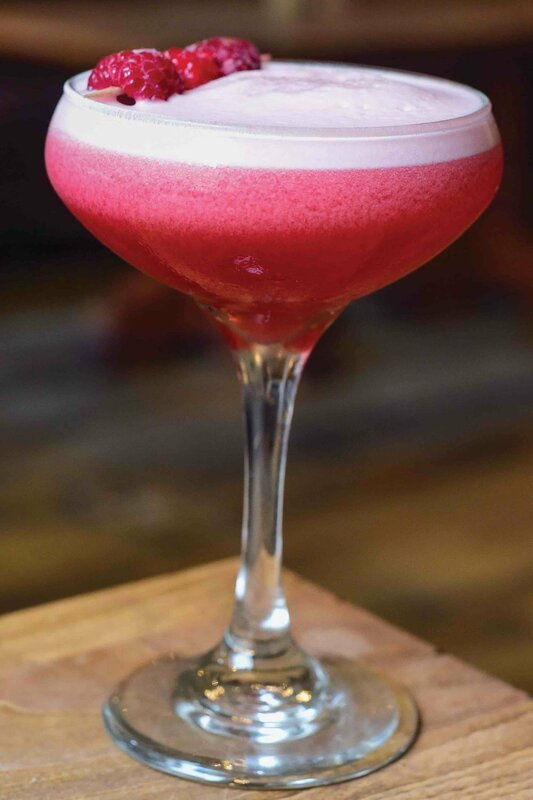 Those eager to sample and get creative can look forward to experiential masterclasses such as ‘Mixed Drinks Through the Ages’ which explores the past, present and future of cocktails through sampling and hands-on cocktail-making. Or take ‘A Liquid Journey’ and sample six botanical spirits to discover how they react with one another to form the award-winning Darnley’s Gin range, while ‘The Secret to Blending Whisky’ masterclasses take pupils on a laboratory style flavour tasting before crafting a personalised blend to take home. In the evening The Secret Spirits Study will transform into a hidden cocktail bar with a programme of bar takeovers with mixologists from across Scotland showcasing their skills to create £4 cocktails for wristband-holders to imbibe on in the lounge or underground bothy. If a break from cocktails is needed, festival-goers can head along to The Empress of Broughton Street for a beer & whiskey pairing with Jameson Whiskey and local craft brewers Barney’s Beer, or be the first to take a tour of the Sweetdram distillery as it opens for the first time, exclusively for wristband-holders. Tour tickets cost £4 each and include samples of Sweetdram’s Escubac (described specifically as not a gin) and their Smoked Spiced Rum. Local gin producers Pickering’s Gin are also joining in the cocktail debauchery with a collaboration with Brewhemia for a whirlwind week of food & gin pairings, ‘How to at Home’ cocktail classes featuring Pickering’s new Pink Grapefruit & Lemongrass Liqueur, plus tastings and competitions with co-founders Marcus Pickering and Matthew Gammell in the Brewhemia Boudoir. And the fun and benefits of an ECW wristband don’t end there: wristband-holders can also enjoy a complimentary cocktail with beauty treatments at NOW by One Spa; promotions at the Official ECW Bottle Shops, Royal Mile Whiskies and Drink Monger; 50% off a ride with mytaxi; and free entry before midnight to Edinburgh’s top late-night venues Lulu, 4042 and Shanghai – visit the ECW website for T&Cs. Sonder is an open plan kitchen / dining experience, serving modern European dishes. This is the first permanent restaurant for owner Trisha McCrae, who previously Co-founded One Star House Party, which saw her take 6 chefs around the world for 2 years, building 20 very different pop-up restaurants in 20 different countries, one of which was a 10 day hike to Mount Everest base camp to build a 1 day only restaurant. After two years of travelling to some of the most prolific food destinations the world has to offer, I decided it was time to come home to Scotland and set up a permanent restaurant. Sonder is the product of the amazing people we met, the food we encountered and the adventure we set out on 2 years ago. 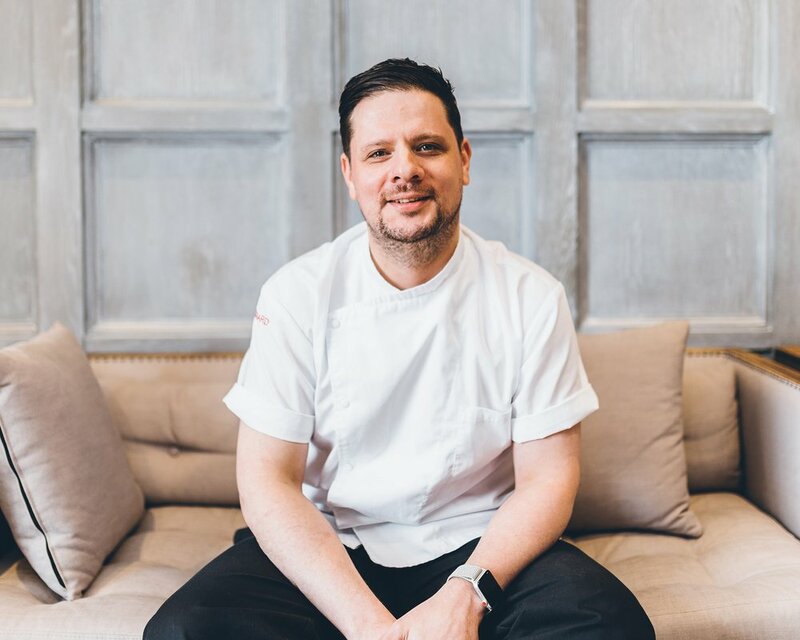 Head Chef Paul Graham, who joined One Star House Party in their final year, has previously worked at Number One in Edinburgh, along with a stint at Gordon Ramsay's Hospital Road. The menu they have created uses local Scottish ingredients where possible, and has been split into sections > Garden, Sea and Land which are served as medium sized dishes, recommending 2-3 per person. Our review of Down the Hatch in South Queensferry is now on the website. 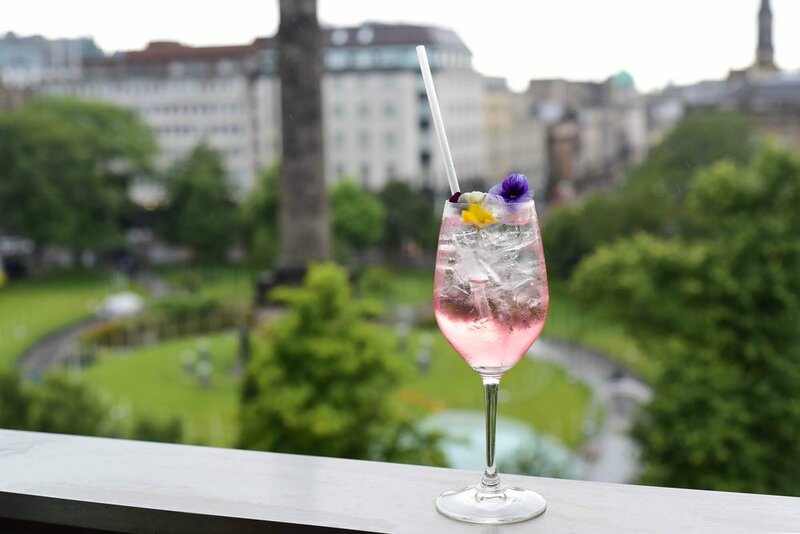 Refreshing gin cocktails, al fresco dining and a chilled retreat from the city heat ….all are on the menu as guests are welcomed back to the Caorunn Summer Garden at Hotel Du Vin. 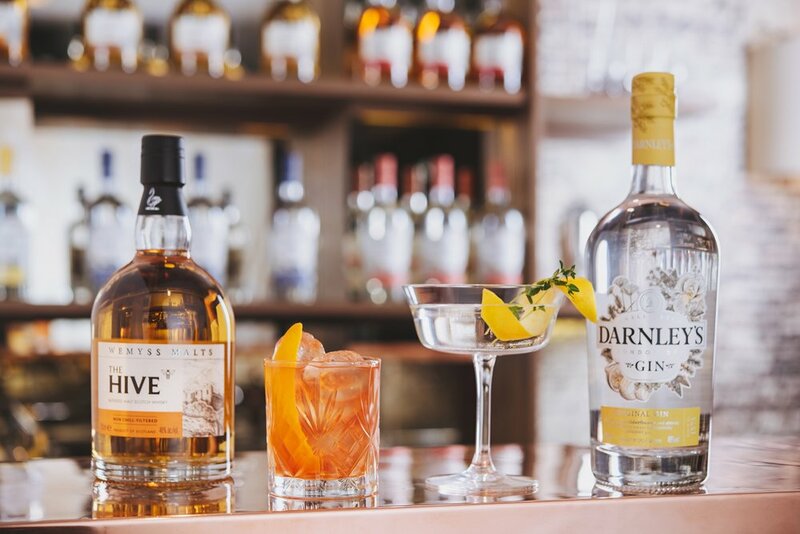 This beautifully handcrafted Scottish gin has taken over the Hotel Du Vin Courtyard, hidden away on Bristo Place, transforming it into a cool outdoor oasis – complete with a brand new menu of delicious Caorunn Gin cocktails designed for sipping in the warmer weather. 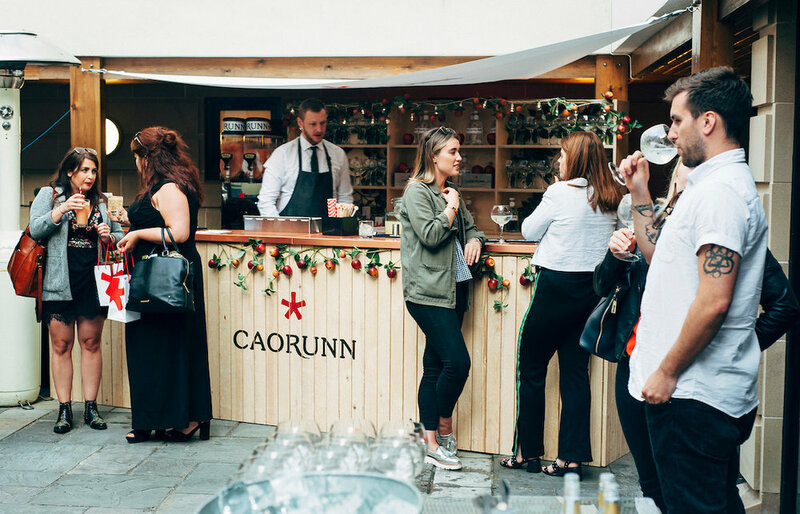 Open from 11am until 11pm every day until mid-September, guests can lounge in the relaxing courtyard space and enjoy drinks from Caorunn’s beautiful apple-strewn wooden bar, as well as a menu of sandwiches, grilled dishes and light bites from the Hotel du Vin kitchen. 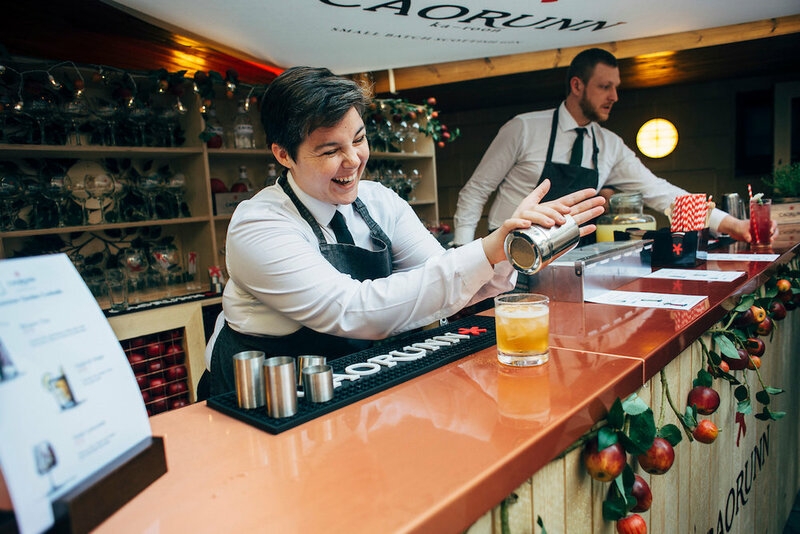 Caorunn’s classic ‘G&T’ made with Fever Tree Tonic and slices of red apple, served over ice, will be in high demand, alongside five picture-perfect cocktails created by Hotel Du Vin’s head Bartender to suit every taste. Expertly mixed using fresh summery flavours such as elderflower, apple, violet and citrus, each cocktail has been designed to complement Caorunn’s clean, crisp, aromatic notes and is served with an adornment of beautiful fruits and flowers. Scattered with Caorunn cushions and cosy fleece blankets for cooler evenings, the Caorunn Summer Garden will also serve up a programme of live acoustic music, entertainment and barbecue evenings over the summer months. Opening hours: 11am – 11pm every day. Entry is free, booking not required. Edinburgh Cocktail Week have announced their plans for this year’s event, Monday 15th – Sunday 21st October, which include a huge 750 square meter ‘Cocktail Village’ at Festival Square on Lothian Road, a 'Secret Spirits Study' masterclass hub & bar on Queens Street, over 80 of the city’s favourite cocktail bars, and a week-long program of events & parties across the capital. The growth of the festival from 3 to 7 days follows the popularity of last year’s inaugural Edinburgh Cocktail Weekend. Just like last year, all signature cocktails featured during the event are available to wristbands-holders for £4 each, with wristbands priced at £6 for a weekday band (valid Monday to Friday) and £8 for a weekend band (valid Saturday and Sunday). The Cocktail Village is free to enter for wristband-holders and will be the epicentre of this year’s festival, where festivalgoers will collect their wristbands and free copy of the ECW Guide before enjoying £4 signature cocktails from 15 bespoke pop-up bars such as Edinburgh Gin, Belvedere Vodka, Jameson Whiskey, Ableforth’s Gin, Altos Tequila, Smokehead Whisky, Rock Rose Gin and many more. Giant trees, picnic tables, live music and DJs, grass flooring and potted plants, festoon lighting, heaters and a clear roof skylight will create an outdoor festival atmosphere for festivalgoers to hangout with friends and socialise with fellow cocktail enthusiasts in before setting off on their cocktail adventure around the city. The Cocktail Village is delivered in partnership with Purvis Marquee Hire Scotland. The number of cocktail bars taking part in the event is also increasing from 50 to over 80 including Harvey Nichols, Baba, The Voyage of Buck (recent winner of Scotland’s Most Stylish Cocktail Bar), Black Ivy, The Permit Room at Dishoom, Tigerlily, Finn & Bear, The Printing Press, Miss Woo's, The Refinery and Tonic, stretching further across the city as far as Dakota Hotel in South Queensferry. This expansion follows organisers’ plans to create clusters of bars in more residential areas – Leith, Stockbridge, Broughton and Bruntsfield – spreading footfall and allowing wristband-holders to experience Edinburgh Cocktail Week without having to travel into the city centre. Another exciting addition to this year’s event is 'The Secret Spirits Study' pop-up on Queens Street, hosted by Wemyss Malts and Darnley’s Gin. The exact location is being kept a closely guarded secret just now, but wristband-holders can look forward to a program of cocktail making, gin and whisky masterclasses during the day where they will sample and learn how to create classic cocktails or their own gin or blended whisky before getting hands-on to shake-up their own creation to bottle and take home. Masterclasses are one hour long and attendees are invited to stay afterwards to enjoy £4 signature cocktails from the bar. In the evening the venue will become an underground cocktail bar with a program of bar takeovers from top bartenders from across Scotland, who will showcase their skills and create a menu of signature cocktails for wristband-holders to enjoy in the lounge or underground arched bothy. Tickets for masterclasses and evening sessions will be on sale from September, with the secret location only being revealed to ticket-holders. There will also be a program of events and parties throughout the week as brands and bars collaborate to host exclusive brand residency evenings across the city. Expect mini masterclasses, vibrant DJ sets, industry experts, free merch and some fancy cocktail flairing as brand ambassadors and local mixologists unite to shake, stir & strain a repertoire of creative cocktails. Tickets for events and parties go on sale in September, priced at £4 each and include a welcome signature serve. A new ‘Official Bottle Shop’ partnership with Royal Mile Whiskies and Drinkmonger in Bruntsfield, offers wristband-holders exclusive discounts during and after the event – perfect for those looking to buy a bottle of their favourite brand they discovered during Edinburgh Cocktail Week, stock up on gifts for Christmas, or recreate signature cocktails at home. Royal Mile Whiskies are also the official on-trade supplier to participating bars. And the benefits of an ECW wristband don’t end there: wristband-holders can also enjoy free entry before midnight to top late night venues including Opal Lounge, Shanghai, Lulu, and Edinburgh’s latest edition 4042, plus additional perks on dining, retail and beauty during the event. Edinburgh Cocktail Week are proud to support Maggie’s Edinburgh as their official 2018 charity partner and hope to raise £2400 - the daily cost for Maggie’s to provide free support to people affected by cancer - by offering attendees the option to donate between £1 and £5 when purchasing wristbands online. I'm sure many of you would agree, asta and wine is a match made in heaven. And from Friday 30th March, Quay Commons in Leith will be serving up a tempting menu of seasonal pasta dishes with incredible wines to match. The bakery and cafe will be opening its doors on Friday and Saturday evenings for dinner that promises to be relaxed, friendly and affordable. Dale, who also operates The Gardener’s Cottage with business partner Ed Murray, has developed the evening menu to be adaptable to the seasons with dishes including Newhaven crab tagliatelle and pappardelle with mutton and tomato ragu being served during the launch period. 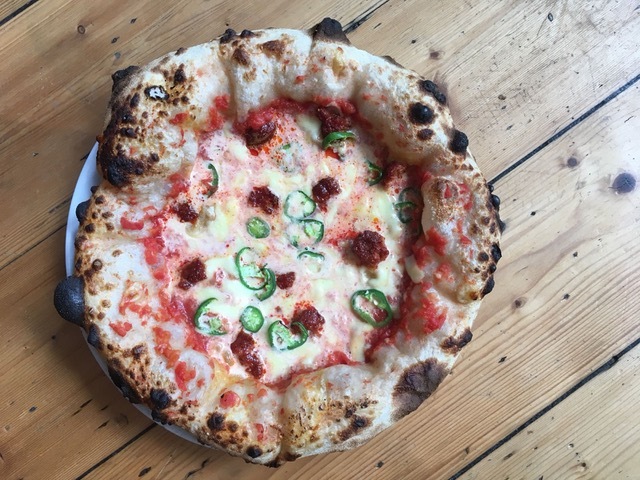 Situated on Commercial Street in an old bonded warehouse, Quay Commons operates 7-days a week as a bakery and cafe, as well as supplying numerous Edinburgh businesses with sourdough bread, cakes and pastries, distributed in their zero-emissions electric van. There’s also a daily selection of organic fruit and vegetables for sale, found in the covered archway leading to the door, and an array of wines and spirits for guests to take home and enjoy. Outside seating behind the building means morning coffee-drinkers and evening pasta-eaters alike can enjoy some fresh air when the weather allows. Well that is our spring break over and the SFR team is renewed and refreshed after a busy winter. We have sifted through the piles of emails (which someone forgot to put the Out of Office on) and found some truly wonderful news of openings and developments in the Scottish food and restaurant arena to look forward to as the days grow lighter and the rain a little warmer. On of our favourites is definitely the news that the wonderful North Bridge located Scotsman building is about to have it's old Advertising Hall re-invigorated as an exciting new addition to Edinburgh's vibrant restaurant scene, with an independent dining and drinking venue set to open this summer. Hotly tipped Scottish chef and Masterchef: The Professionals knockout week finalist Chris Niven has been unveiled as Executive Head Chef of The Scotsman Grand Café & Bar. Chris is currently building his team and developing a delicious, accessible all-day menu, which will showcase his love of vibrant dishes with bold flavours, made with the best seasonal Scottish produce. The Scotsman Grand Café & Bar will open its doors to guests after an extensive restoration, which will bring the beauty and traditional features of this historic Old Town building – opened in 1905 as the home of Scotsman newspapers - into the modern age. Details of the interior design and menus are still under wraps, however the new venue promises to mix the historic past of its setting with the buzz of a vibrant contemporary café and bar. Chris is building a fifteen-strong kitchen team to help him craft unpretentious dishes which will take diners from early morning breakfasts and coffees through lunches, afternoon teas, dinners and all the way to late night cocktails and drams. The ambitious Dundee-born chef (34) is a champion of carefully sourced Scottish ingredients and of the local Scottish restaurant scene. He is proud to have been mentored by some of Scotland’s best chefs in award-winning kitchens up and down the country throughout his career. 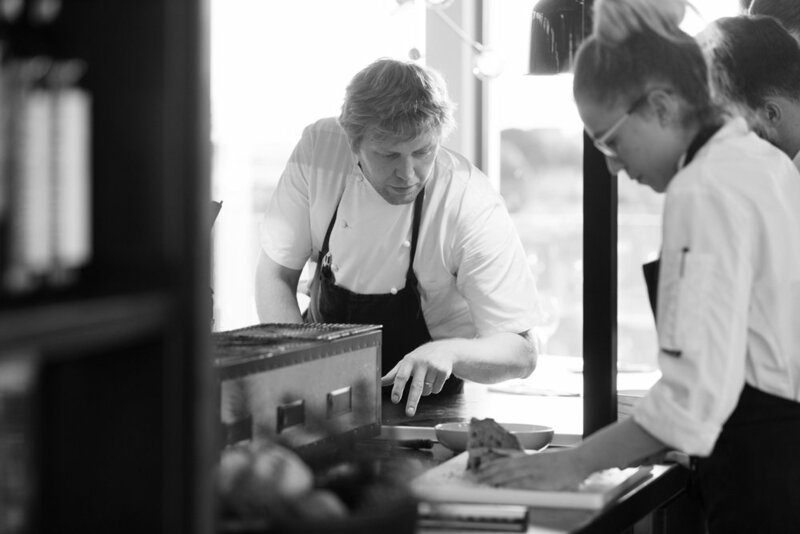 Having trained in Professional Cookery at Dundee College, Chris followed his passion for food with junior positions at a number of local hotels and restaurants before heading to St Andrews to work in the kitchens of the Golf Hotel, The Old Course Hotel and The Adamson. He gained experience of menu development as Senior Sous Chef for the opening of Malmaison Dundee, before moving back to St Andrews for a spell at the two rosette restaurant at Rufflets Hotel. 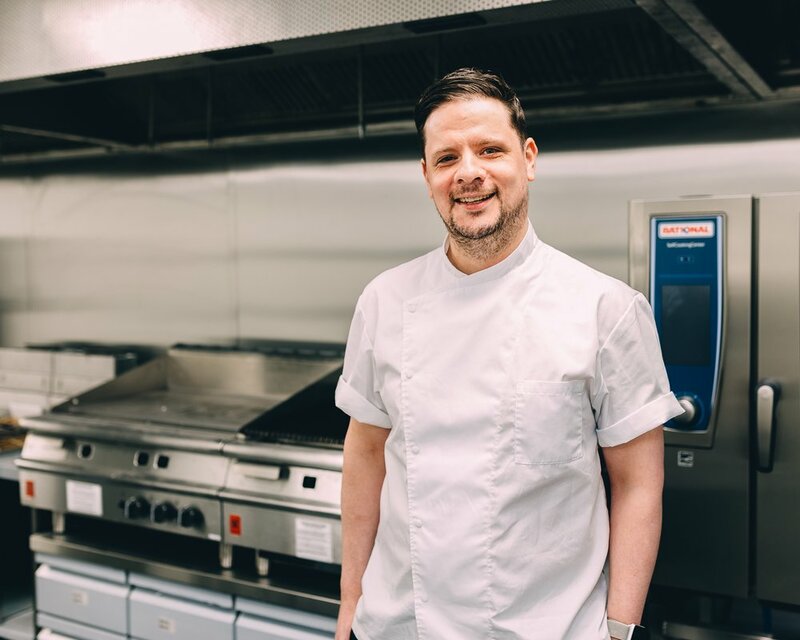 Chris then moved to Edinburgh to the renowned Dalmahoy Hotel and Country Club as Executive Sous Chef, where he was in charge of two restaurants and up to 500 breakfasts each day. Latterly he has been Head Chef of the Printing Press Bar & Kitchen in Edinburgh’s George Street. During his tenure there, he progressed to the final stages of the 2017 Masterchef: The Professionals TV competition – an experience he describes as ‘stressful but incredible’- given he was cooking for some of his culinary heroes including Marcus Wareing and Monica Galetti. Joining Chris at The Scotsman Grand Café & Bar will be Kenny Arnott, who takes up the role of General Manager. Full plans for the launch will be unveiled in the coming weeks, as work continues behind the scenes to lovingly bring this former Scotsman public office back to life and we certainly can't wait to hear more as things progress! 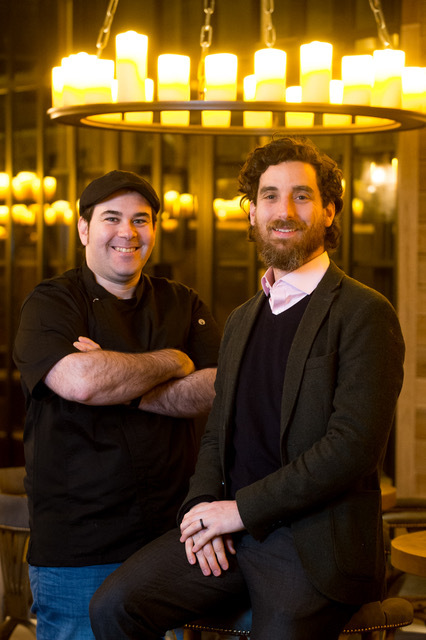 Independent restaurant operators City District Group, founders of Fazenda Bar & Grill, have announced they will open their Edinburgh doors on Friday 23rd February. A £2m refurbishment of the 7000 sq ft site on George Street will include 175 covers incorporating a bar of 40 covers, plus a private dining room with seating for 8 guests. The interiors feature banquette seating in tan leather upholstery with Brazilian flourishes reflected in the golden glow of traditional-style chandeliers. Wine is prominently displayed throughout restaurant, with dramatic displays forming a central theme. The authentic gaúcho dining experience embraces rodizio, a unique Brazilian way of serving a variety of grilled meats carved at the table. For a set price, successions of prime cuts are served including chicken, lamb, pork and beef. A highlight is Fazenda’s signature picanha offering- a juicy, tender and flavourful cut from the cap of the rump, popular in Brazil. Fazenda ensures the experience is easy and enjoyable by allowing diners to eat at their own pace via a start/stop signalling system on every table. Diners are also invited to visit Fazenda’s outstanding gourmet sides bar offering an extensive selection of salads, sushi, smoked salmon, fresh cut vegetables, cured meats, traditional Brazilian dishes, and more. Wine is also a key ingredient of the Fazenda experience, with a carefully-curated wine list offering diners a perfect accompaniment to every cut of meat. Fazenda offers a selection of award-wining wines with a focus on South America, but also including some of the great players from the old world, ensuring guests experience a culinary journey they will not forget. 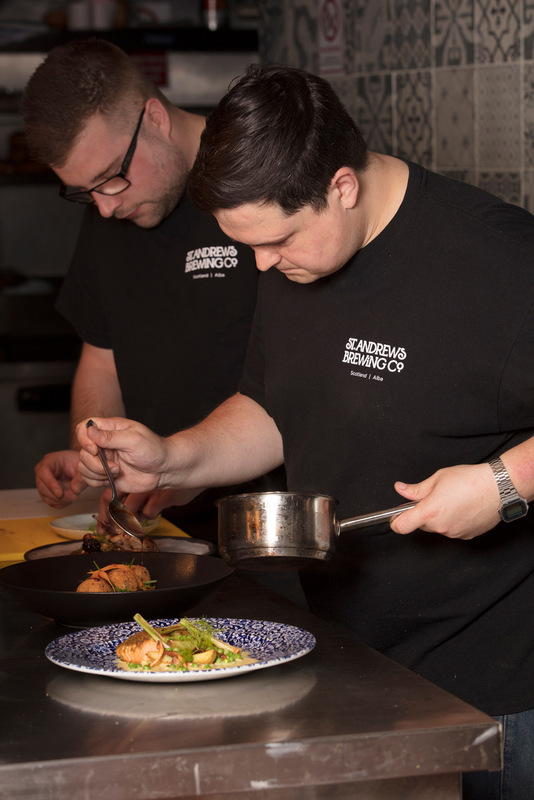 Independent restaurant operators City District Group, founders of the Fazenda Bar & Grill brand in Leeds, Liverpool and Manchester, are set to open a fourth outlet in the Scottish capital in early 2018. A fifth location in Glasgow is also being sought. A £2m refurbishment of the 7000 sq ft site on Edinburgh’s prestigious George Street will offer 175 covers including a bar area of 40 covers, plus a private dining room for 8 guests. Fazenda presents an authentic gaúcho dining experience that embraces rodizio, a unique Brazilian way of serving a variety of grilled meats carved at the table. For a set price, successions of prime cuts arrive at the table including chicken, lamb, pork and beef including Fazenda’s signature picanha cut, a juicy, tender and flavourful cut from the cap of the rump that is very popular in Brazil. Fazenda ensures the experience is easy and enjoyable by allowing diners to eat at their own pace via a start/stop signalling system on every table. Wine is a key ingredient of the Fazenda experience, with a carefully-curated wine list offering diners a perfect accompaniment to every cut of meat. Edinburgh Cocktail Weekend has revealed 50 specially designed signature cocktails for their inaugural event, Friday 6th - Sunday 8th October, which wristband-holders can enjoy exclusively for £4 each across the capital's top cocktail bars including Harvey Nichols, Tigerlily, Copper Blossom, Le Monde, The Printing Press and Nightcap. Cocktail enthusiasts can look forward to a weekend of sipping and socialising their way around the city with a cocktail line-up featuring everything from a Willy Wonka inspired 'Violet Beauregarde' cocktail at The Refinery and a tipsy ice cream milkshake at The Boozy Cow, to an iced coffee cocktail at Eden Locke created by the recently crowned 'World's Best Barista' and a Jammie Dodger flavoured martini at Element. — Gary Anderson - Organiser and now legendary Cocktail wrangler. Since the announcement of Edinburgh Cocktail Weekend, excitement for the event has been building, with over 8000 event responses on Facebook and people travelling from across the UK and as far as Australia to join in. Around 7000 people are expected to take part across the three day event, making ECW Scotland's biggest ever cocktail event. As well as enjoying £4 cocktails, wristband-holders also have the chance to attend free masterclasses and tastings at the likes of Bar Soba, The Scottish Malt Whisky Society, Malmaison and Rabble. Wristband-holders can also enjoy free entry to Edinburgh's top late night venues plus exclusive access to the Boudoir and Bothy at Brewhemia, and the rooftop SKYbar on the top floor of DoubleTree by Hilton, where they can sip on cocktails and take in stunning views of Edinburgh Castle and the city's skyline - the perfect selfie opportunity. £6 wristbands (or two for £11) can be purchased at www.edinburghcocktailweekend.com and can then be collected from the Edinburgh Cocktail Weekend Hub at ANTA on George Street along with a free copy of the ECW Guide. Then it’s time sip, sample and socialise your way around #ECW17!